My friend Ema was sharing with me her biggest problem about her beloved. He doesn’t support me. At all. So we sat down and dig deeper to discover what is going on with 4 loving questions. 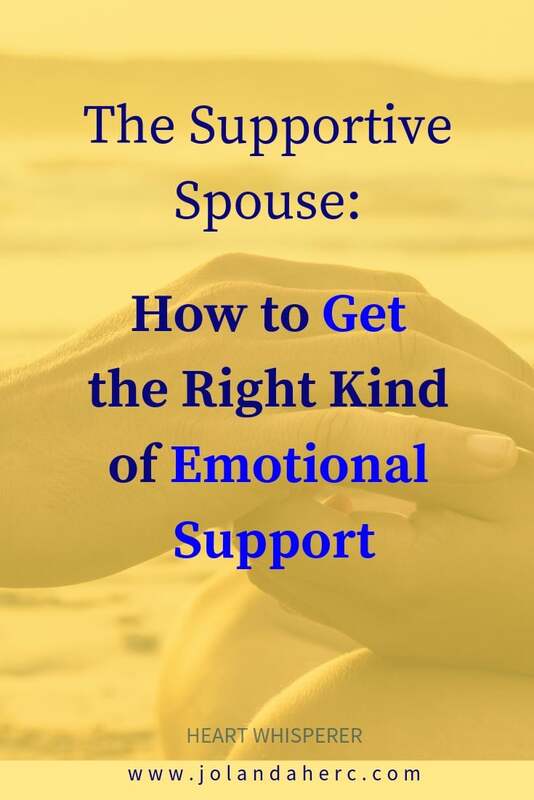 Is it true that you need him to support you? I asked her. She immediately responds: Yes, of course. So I ask her to breathe into her heart and breath out of her heart three times. 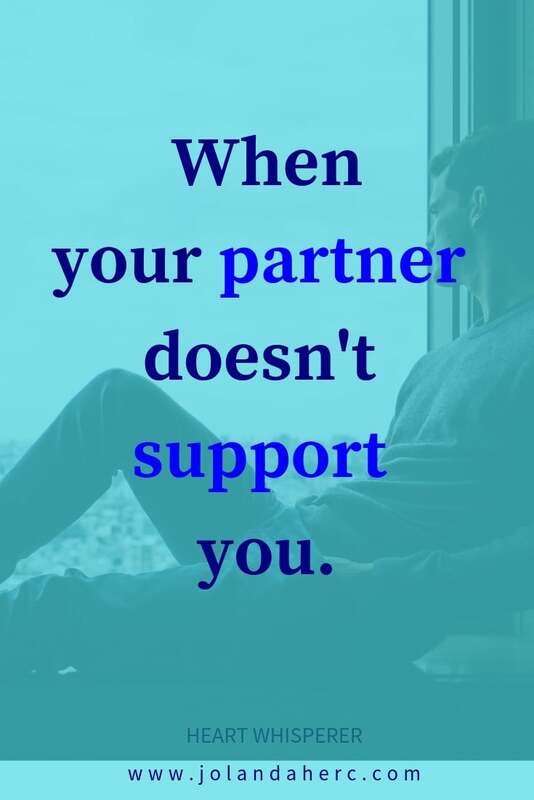 Is it true, that you need him to support you? Doesn’t matter if you get yes or no, as long as you listen to this quiet voice inside your heart. Eva responded with Yes again. How do I react when you believe that you need him to support you but he doesn’t? I feel rejected, unworthy of love. Sad. Small. Not worthy of his help and attention. What does this remind you of: I feel that I am not worthy of his attention. Who’s attention you were not worthy in the past? Her immediate response was my first-grade teacher. She didn’t like me. No matter what I did, she didn’t like me or what I did. I was disturbing her class with my constant questions. I already know half of the things that she tried to teach us. I want to know more, but she never supported me at that. She wants me to know my place. wrong with me, the way I am. The way I learn, to fast for her. I did not fit into her image of an ideal pupil. It’s funny that until now I even did not remember that anymore. Eva, I said. Do you see the connection? Do you see how you started to see the world, life as a place, where you don’t deserve to be supported? Eva, what did you start to believe about people and support that you can get from them, that you deserve from them? the need for support to anyone. 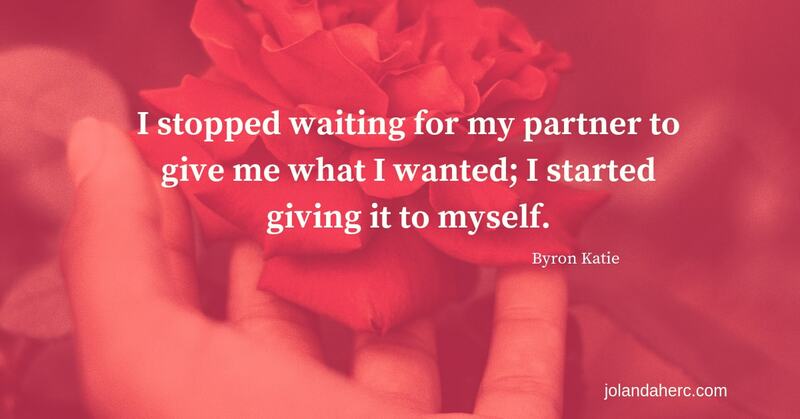 I guess I was expecting from my husband to support me without sharing with him how would I love to be supported. I just did not want to relieve hurt from my first-grade teacher. No wonder that my husband could not support me the way I wanted. Who you are when you have wonderful moments together with him and you don’t think about the support that you don’t get from him? There are so many moments when I enjoy being with him. Yesterday was one of them, when we were listening to music, a classical concert that we both love. I felt totally supported by him. What would you notice, if you look at your need to be supported by him from a different perspective? I need me to support me more. Yes, I could see that. If I express how I would love to be supported by him, I am actually supporting me. I’m supporting the part of me, which feel unworthy of attention. as a proof from him that I am worthy of his attention. Oh, it is all about me needing him to prove me that I am worthy of his attention and love. I actually don’t need a lot from him. So many ways that I want him to support me, now just became unimportant. I don’t need him to support me as a proof that I am worthy. It’s such a relieve, said Eva, feeling lighter and more relaxed. 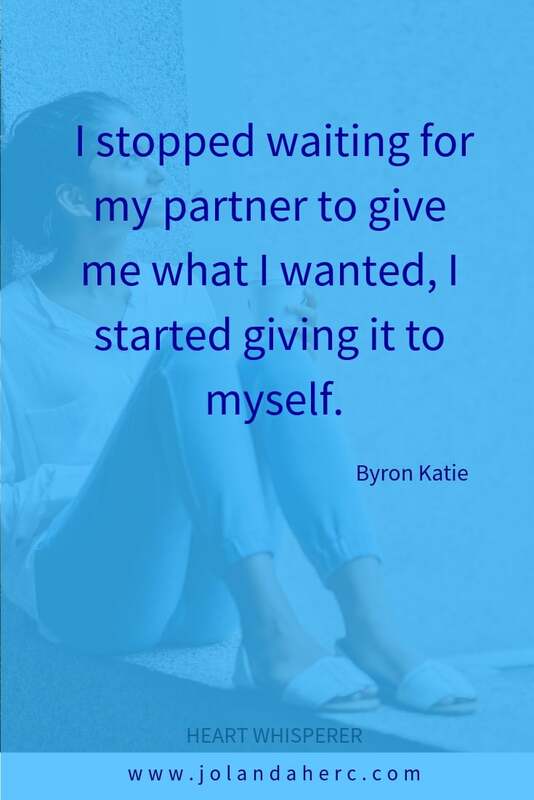 When Eva realize what she started to believe in her first grade about her being unworthy of the support of others, she understands, what is really going on. The problem was not that her husband did not support her. 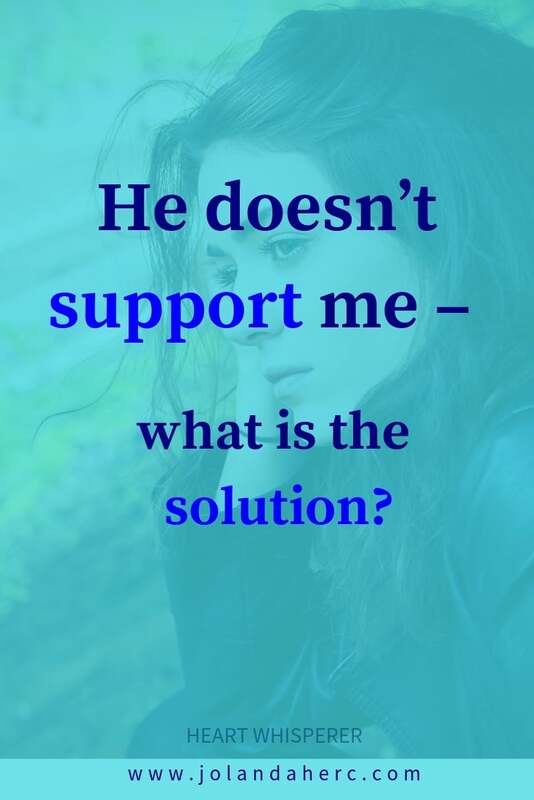 The problem was, that he needs his support as the proof that she is worthy of support. But no matter what he did, the feeling of being supported never last. Now Eva could finally stop playing the game of solving the problems, where nobody could win. They always both lose at that game. 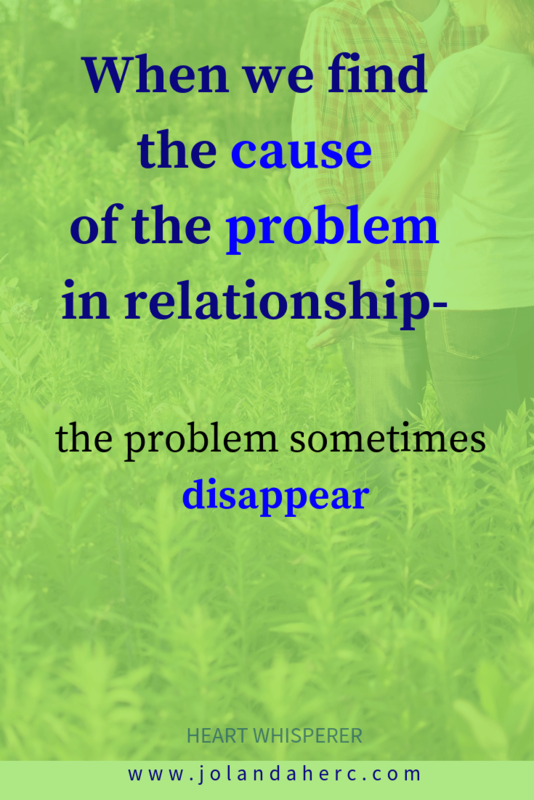 There are no unsolvable relationship problems. There are only problems that have the root cause somewhere else not in the problem itself.